Come settle into our cozy dining room with spectacular views and experience our International and true local hospitality at Sukula Restaurant. Rely on our chefs to prepare your dish to your personal tastes and your dietary needs. Our International Restaurant is an elegant dining restaurant offering an extensive international, local and seasonal á la carte service for lunch, and dinner. Relax in our Calabash Bar with afternoon tea, cocktails or a fine wine. Music begins at dusk. 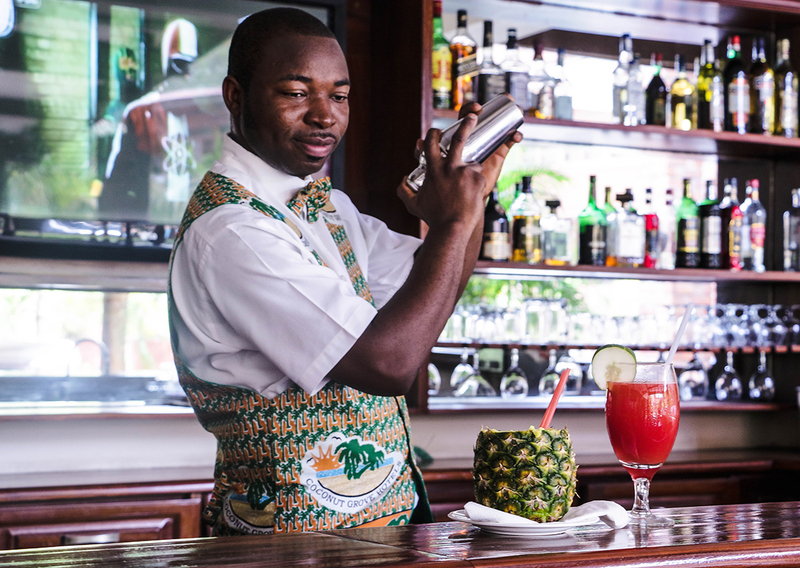 Our guests can enjoy a pre-dinner cocktail at the Calabash Bar, a discreet and sophisticated venue, handled by our attentive service staff.